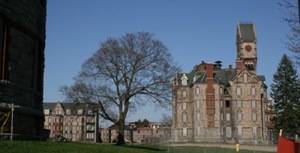 Topeka State Hospital was a Kirkbride style hospital opened in 1879. It closed in 1997 and was demolished in 2010. A memorial is in place for the countless in the cemetery who have no headstone or marker.